The Levine Museum of the New South opens NUEVOlution! Latinos and the New South on Friday, September 25, 2015, in Charlotte, North Carolina. It can be seen until October 30, 2016. After that, the interactive, bilingual exhibition will travel throughout the United States starting with the Birmingham (AL) Civil Rights Institute and the Atlanta (GA) History Center. I hope you have a chance to see it. Oliver Merino, who is coordinating the exhibition, contacted me last year to ask if the museum could include one of my photographs of Oaxaca Day of the Dead practices in the exhibition. Of course, I said, YES! There is nothing I could be more satisfied with than to contribute to the dialog about human rights, personal respect and dignity, and cultural appreciation for every human being in the world, and especially for Latinos in America. (Note: the photo below is not the one used for the exhibition.) If you would like to volunteer or know more, please contact Oliver. 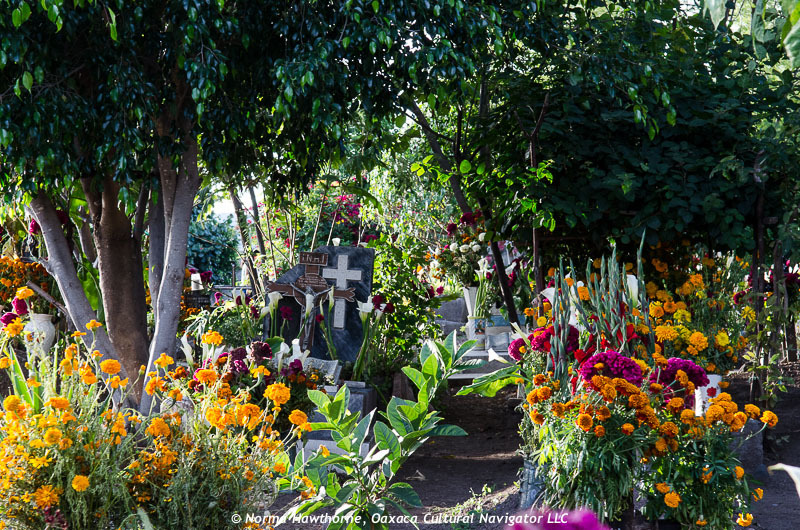 Latino communities throughout Mexico and the United States are getting ready for the end of October celebration that honors deceased loved ones. The practice is celebratory and filled with magical ritual. So different from how we mourn and remember in the USA. In Oaxaca, things are gearing up! Photography Workshop in Chiapas, January 2016.